Community-based open source, or “community source”, has emerged as an innovative approach to developing open-source enterprise application software (EAS). Unlike the conventional model of in-house development, community source creates a virtual software development community that pools human, financial, and technological resources from multiple partner organizations to develop custom software solutions. The solution is available as open-source software to all end users. In this way, the community source model takes a step forward from outsourcing to third-party software vendors. By studying a real-world case of the Kuali community source project, the authors found that community source faced a number of challenges in project management, particularly in the areas of in-house staffing and project sustainability. The interview analysis further concludes that outsourcing the community source development to either domestic or foreign third-party vendors could be a viable solution. Finally, the authors propose a research framework and seven related propositions that warrant future investigation into the relationship between community source and software outsourcing. Due to an increasingly competitive business environment, organizations demand customized application software that can meet their specialized and strategic requirements. If they cannot find suitable one in a commercial market, organizations feel compelled to develop the software in-house. According to the study of (Perry et al., 2007), however, the overall cost of in-house development is so much higher than that of buying commercial software that many organizations cannot afford the former approach. Furthermore, it is impractical for many organizations to achieve all the necessary competence for building software themselves. As a result, they seek out strategic alliance to jointly develop their desired software. Strategic alliance is a formal relationship between two or more parties to pursue a set of agreed upon goals or to meet a critical business need while remaining independent organizations (Yoshino et al., 1995). 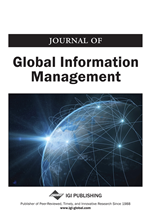 A new approach of enterprise application software (EAS) development is applying strategic alliance to the development mechanism of open source software (Agerfalk et al., 2008). The approach is referred to as community-base open source, or “community source.” In community source, a community of partner organizations invests and develops the EAS and this software is open source eventually. A community source project is “an open source project that requires significant investments from institutional partners in both human resources and cash contributions” (Liu et al., 2007a). Community source creates a formal virtual organization where multiple partner institutions collaborate with each other to develop custom software solution in different locations and at different time. Community source is a unique form of open source. In community source, rather than rely on commercial software vendors, the user organizations pool their resources together to develop EAS. Comparing with an institution developing the software individually, this pooling of monetary resource and human resource from partner institutions gives the organization better control over the software development. Community source thus offers an innovative approach to developing open-source EAS. Developers in a community source project are employees of the partner institutions, designated to work on the project. Due to this unique feature, however, community source projects face a number of challenges. On one hand, it is optimal for the community source project to attract as many participating organizations possible in order to share resources, reduce costs, and minimize risks. On the other hand, the management of community source project becomes increasingly complicated and difficult with the increasing number of participating institutions. In order to understand these challenges better, we studied a real-world ongoing community source project of called Kuali (www.kuali.org). The Kuali case offered us a great opportunity to study the project management issues of community source in a higher education setting. Based on this study, we suggest that outsourcing of software development is a viable solution to those issues we identified in the community source project. The primary research questions of this study are: What are the motivations for outsourcing of software development in community source, and what are the potential benefits of outsourcing of software development in community source? In the following section, we introduce the background of community source and the case of Kuali. In Section 3, we present the literature review on open source/community source and outsourcing of software development. In Section 4, we present the research methodology of the study and the interview results from the Kuali case. In Section 5, we propose a research framework and seven propositions deriving from the findings of the Kuali case study. The paper concludes with the implications of this study and suggestions of future research directions.